Your journey kicks off in the Makgadikgadi Pans National Park. A lunar-like, otherworldly place, where space and time seem endless, it’s a complete contrast to the green and grassy scenes of the infamous Okavango Delta. You’ll spend time getting to know the extraordinary landscape, the wildlife and its people, on game drives, walks and visits to historical sites, with a local Bushman guide leading the way. Next up is Khwai Private Reserve, a footprint-sensitive and community-based joint venture partnership, which is focused on making sure that the local villagers are well looked after. You’ll follow the Khwai River as it cuts through open floodplains of wetlands and scattered islands, and don’t forget your binos – there’s plenty of game along the way. In Khwai, you’ll also have the opportunity to mix up your game viewing on walking safaris and traditional mokoro canoe rides on the river itself. You’ve got yourself a full day to explore the Makgadikgadi Pans National Park on foot or by vehicle – or why not try both? Game drive through the desert-scapes, bird watch from the comfort of your bedroom, walk with Bushmen trackers, or visit the nearby Gweta village. The choice is yours! 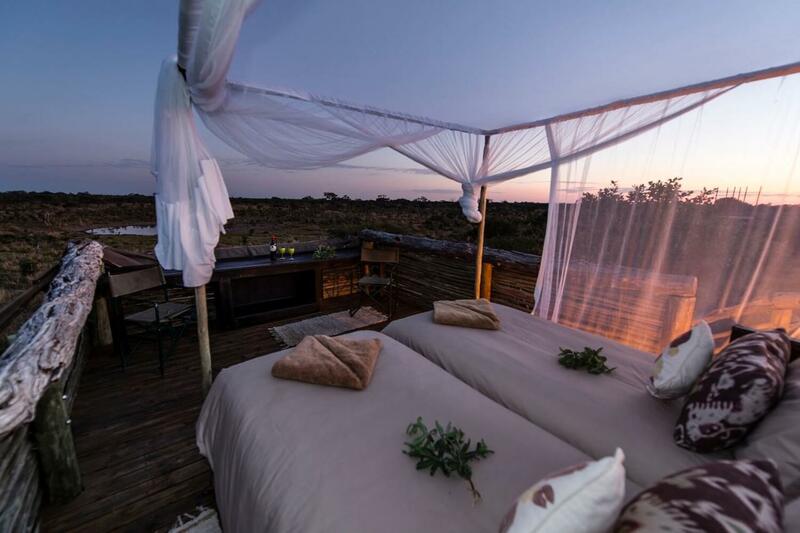 After a short flight from Maun, you’ll touchdown in the green and grassy Khwai Private Reserve for two days of game drives, elephant spotting and al-fresco dinners at Hyena Pan. After your night under the stars, relocate by game drive across Khwai to Sable Alley and get stuck into game drives, walks, birdwatching, and canoe excursions, to name but a few. If the mood takes, you hop in a traditional mokoro or discover the bush on foot to see the wildlife from a different perspective. Your last day, and a chance to squeeze in the activities you didn’t have time for yesterday before transferring back to Maun for your onward flight. There will be time to take those last-minute photos before you zoom off to Maun Airport for your flight home. Meals from Lunch on Day one to the end of the scheduled safari and a reasonable amount of drinks.